FirstABS is proud to have staff across the country and features different employees each month to give our clients the opportunity to know us a little better. This month, meet Sean Poppell, an Engineer/Business Development Specialist at FirstABS. 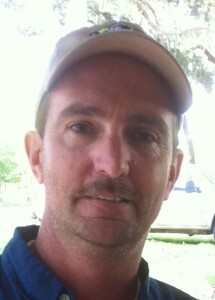 Sean has been with FirstABS for over three years, working and living in Keystone Heights, Florida. His experience includes 18 years designing, engineering, installing, managing and consulting for Avaya Red and Blue (Nortel) product lines. Sean is a big fan of all things “water,” as evidenced by his favorite book, The Old Man and the Sea, and favorite movie, The Hunt for Red October. In his spare time, he enjoys fishing, hunting, watching his favorite college team (Florida Gators) and spending time with family and friends. Sean is community-minded, and is a volunteer firefighter and active supporter for autism related charities. Training Tip: Knowledge is More Than Power…It’s Capital 2 Reasons Your Technology Company Needs to Use Social Media.